These activities are suitable for KS2. 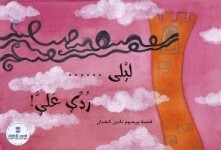 Answer Me, Leila (Leila, Ruddi Allaya) by Nadine Kaadan is the tale of a deaf princess, based loosely on the story of Rapunzel. Here the princess is not portrayed as an 'outsider'; she is an empowered protagonist who speaks her own language and it is the prince who struggles and must learn to adapt in order to communicate effectively with her. Our first RTW project identified Answer Me, Leila by Nadine Kaadan as a particularly effective example of a book featuring a deaf character and images of signing. We also used other books featuring deafness identified by the RTW project to support discussions in this activity (which are listed in the ‘Suggested Books’ at the end of this activity sheet). Although not published in English, OIW commissioned an English translations by Ruth Ahmedzai Kemp which is available to download from our website to use as part of this activity. The following are just a few ideas for activities based around the book. Identify / learn the BSL signs that appear in the book. Go through the book labelling one or two things on each page that could be useful to know in BSL. Learn the fingerspelling alphabet. Fingerspell the children’s names. Leila signs something that Sami doesn’t understand. Try to work out what she is signing. Why do they think the author/illustrator chose this letter? Research ‘sign names’ – the way in which deaf people can develop names based on characteristics or mannerisms. Try creating these for each other. Is BSL the only way in which deaf people communicate? What other ways might they use? What tells you that Leila is deaf? How else might you know if someone is deaf? 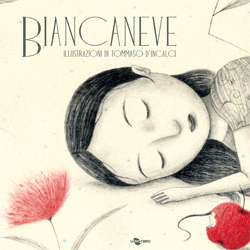 Children might try drawing their own version of Leila, with a hearing aid, or creating their own (new) character to include in the story. Act out the book without using any conversation / verbal dialogue. Try listing the various features that tell the reader something about the author or the setting. Research Syria – find it on a map and learn about its history. Which fairy tale does the book remind them of and why? Consider the characteristics of a fairy tale. 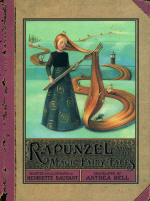 Compare well known fairy tales and explore some of the typical characteristics. Challenge children to try creating their own new version of a well-known fairy tale, adapting it to include a deaf or disabled character. Get the children to plan a story that challenges some of the traditional features of a fairy tale. For example, what could happen instead of a prince rescuing the princess? What if they didn’t fall in love at first sight? How about a boy needing help instead of a girl? What if they didn’t fall in love, marry and live happily ever after – what else might they do? As part of the workshop project, OIW explored various other books featuring deafness, including books from other countries and books from the UK. These books offer other opportunities for discussing sign language and for associated activities. Vaker by Tamas Vincze, illustrated by Mari Takacs. Look at the signs and try to work out some of the relevant words. BSL signers can compare the signs with BSL to see which are the same and which different. Children can try creating their own signing directory. Discussing expression: Each child can draw a person or animal’s face, including various facial features but no mouth. Then pick an emotion (such as happiness, anger, fear, surprise) and redraw the original face, trying to create a sense of that emotion without using a mouth, etc. For more information see ‘Reading the Way 2’ Report Case Study 6 and Inclusive Books in Brief and Case Study on Symbols from the original RtW research in 2015. 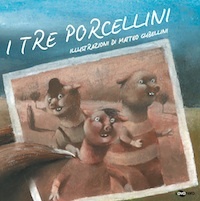 Children might also be interested in books featuring communication symbols, such as the ‘Pesci Parlanti’ series published by Uovonero. 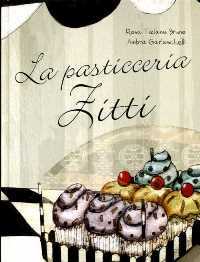 You might also use Zitti’s Cake Shop (La pasticceria Zitti) by Rosa Tiziana Bruno. 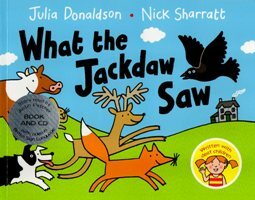 Use UK books such as What the Jackdaw Saw and Freddie and the Fairy, both by Julia Donaldson. The tale of a deaf princess, based loosely on the story of Rapunzel. Here the princess is not portrayed as an 'outsider'; she is an empowered protagonist who speaks her own language and it is the prince who struggles and must learn to adapt in order to communicate effectively with her. Vaker is available to purchase from Sinosz Hungary. 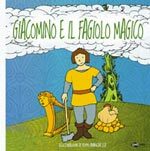 ‘Pesci Parlanti’ is a series of classic fairy tales featuring PCS, designed specifically to be more accessible to those with reduced communication skills. Clear illustrations are printed on the right-hand side, while the story is structured in simple sentences accompanied by PCS on the left-hand side. 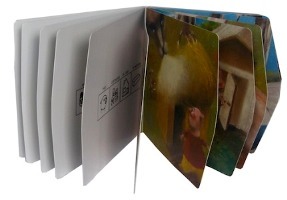 The pages are softly curved and feature a unique 'easy turn' format. 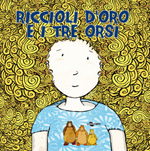 The series has been created by Enza Crivelli, a specialist in autism, and editor at Uovonero. 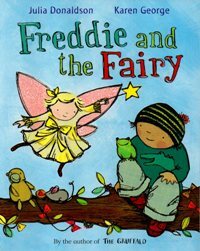 Freddie is delighted when he meets a fairy called Bessie-Belle who offers to grant his every wish. The problem is that the fairy can’t hear very well so all Freddie’s wishes come out wrong because he mumbles. 'Haroun is the happiest cat in the world'. He lives in the city of Damascus, 'the city of a million and one cats'. 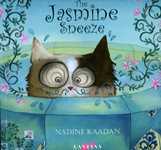 But there is just one problem: the sweet scented Jasmine flowers make him sneeze. Haroun believes he has come up with the perfect solution, but doesn't anticipate the anger of the Jasmine spirit, who it is said, has lived in the jasmine trees of Damascus for thousands of years. Jackdaw is flying into danger! The other animals try to warn him, but he doesn’t understand the signs they are using. 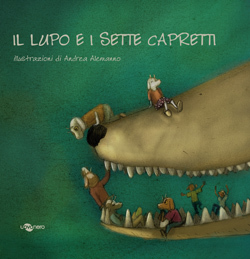 A story about friendship and sign language written by a group of deaf children with Julia Donaldson in a workshop run by The Life and Deaf Association. For these activities we have chosen books used in the RtW projects. Wherever possible we have checked their availability to purchase. Some mentioned are not available through the Amazon link from our website, (all the above books are listed under their original title if not in English), and can be purchased directly from the international publisher.